Goi of Baekje (died 286, r. 234–286) was the eight king of Baekje, one of the Three Kingdoms of Korea. He was the second son of the 4th king Gaeru and younger brother of the 5th king Chogo. Onjo (?-28, r. 18 BC–AD 28) was the founding monarch of Baekje(백제,百濟), one of the Three Kingdoms of Korea. According to the Samguk Sagi(삼국사기,三國史記), he was the ancestor of all Baekje kings. Heukchi Sangji (Hangul: 흑치상지, Hanja: 黑齒常之, pinyin: Heichi Changzhi) (630–689) was a Baekje general who became a leader of the Baekje Revival Movement, and later a Tang Dynasty general. Dongseong of Baekje (?-501, r. 479-501) was the 24th king of Baekje, one of the Three Kingdoms of Korea. 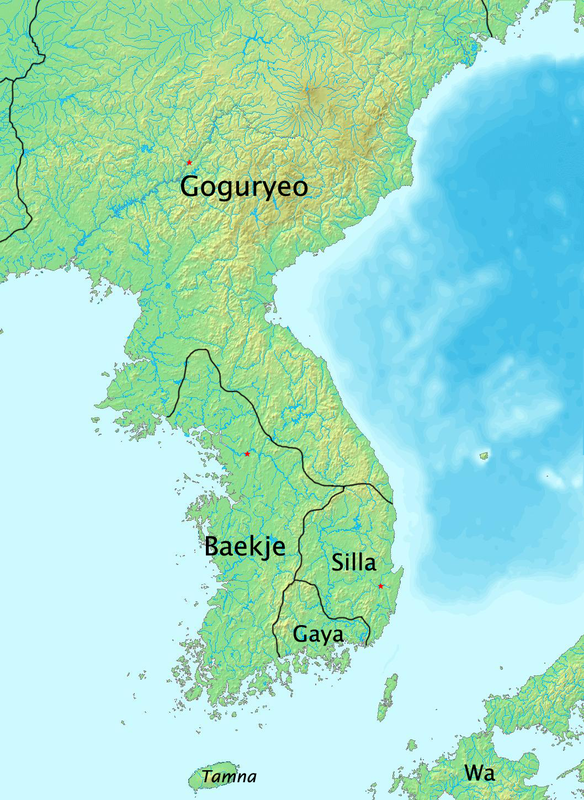 Wideok of Baekje (525–598) (r. 554–598) was the 27th king of Baekje, one of the Three Kingdoms of Korea. He was the eldest son of King Seong, and rose to the throne upon his father's death. Gongju (Gongju-si), also spelt Kongju, is a city in South Chungcheong province, South Korea.